Over the past year we’ve developed a serious obsession with tray tables. Not only are they super versatile, stylish and fun to decorate, but they are usually a pretty budget friendly piece of furniture to own that you’ll get a ton of use out of. Whether it is a nice bedside table you’re looking for, or if you want a great alternative for that bar cart everyone is currently crazy about: we’ve got you covered! 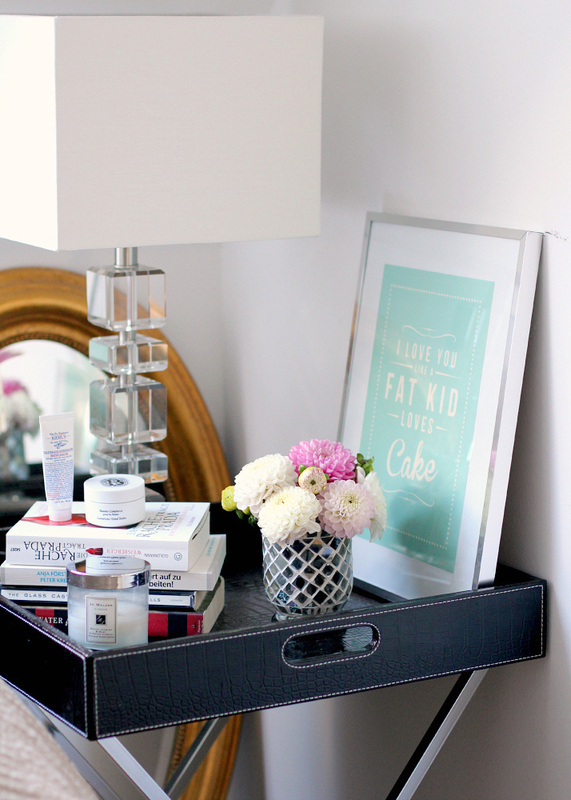 To give you an idea of what we’re talking about, we’ve taken our favorite tray table (an Ebay find) and styled it for 3 different spots in our homes. Who really needs drawers next to the bed? They are only an excuse to hoard unnecessary things, right? 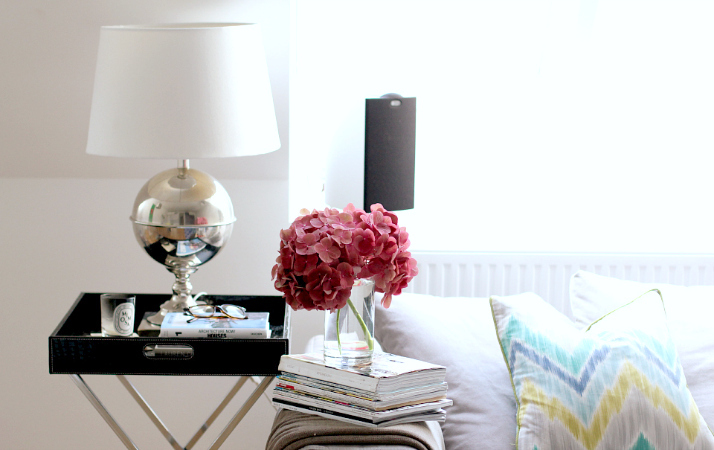 Matching tray tables and lamps on either side of the bed will give the room a balanced and polished look! 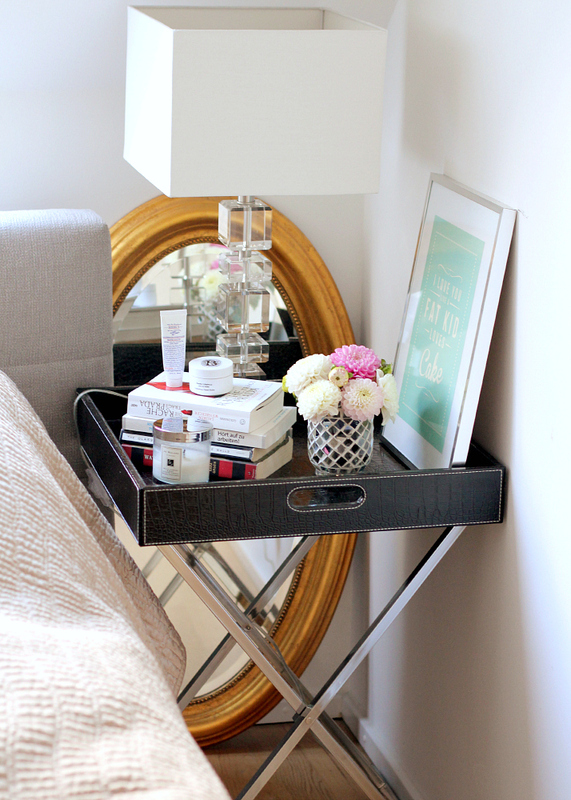 When you’re styling bedside tables, be sure to stick to the basics like the book(s) you’re currently reading, some hand lotion to apply before going to bed and maybe tissues if you’re stuck in bed battling a cold. Then, throw in a few (!) decorative objects, like a nice candle, fresh flowers and a framed picture or print. 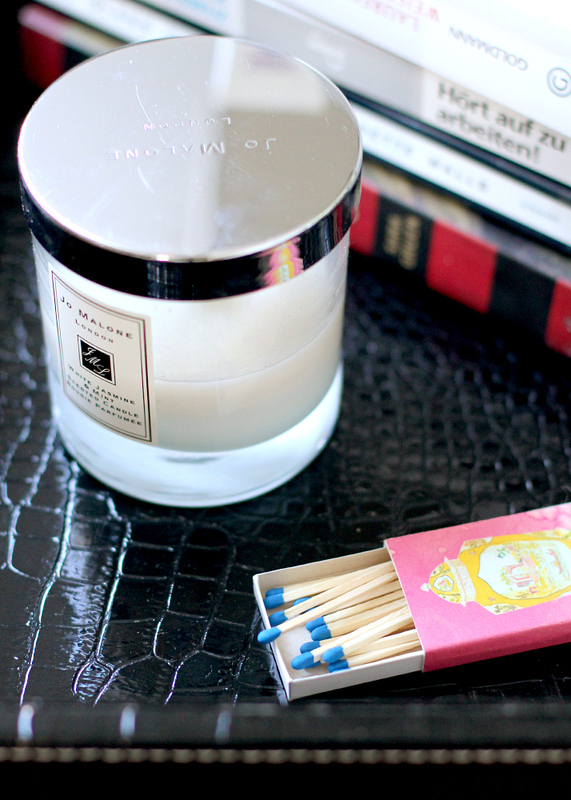 We try to keep the decorative items to a maximum of 3 to prevent a cluttered nightstand. 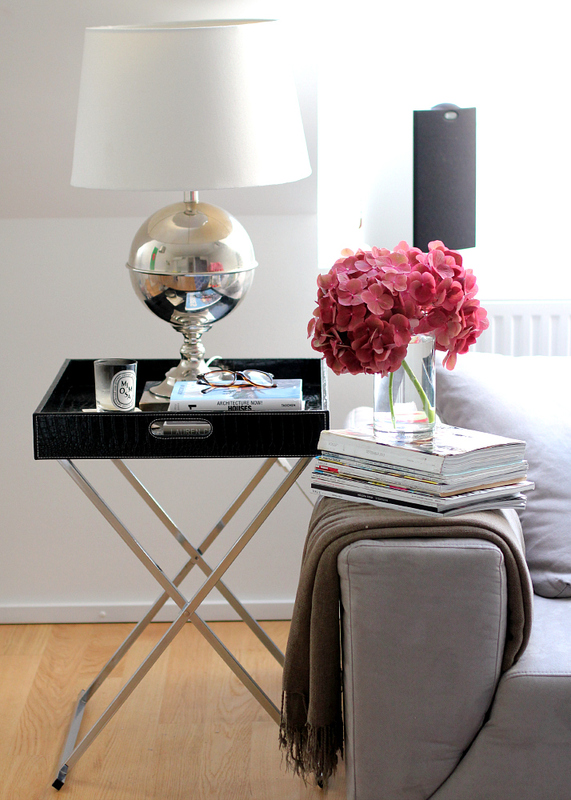 This is probably one of the most obvious options when it comes to styling/using your tray table: next to the sofa as an end table. The perfect place to stack a few nice books, keep your coasters on hand, display a gorgeous table lamp or store the remote controls for the TV. 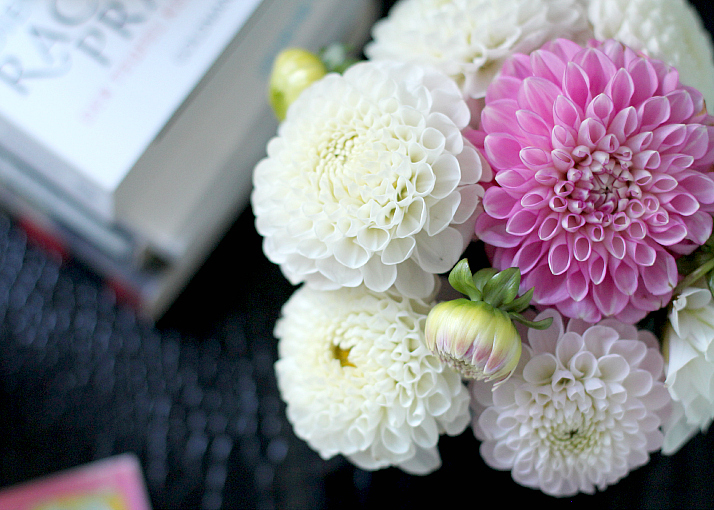 Again, we love the combination of a few useful items (reading glasses, remote controls, books, …) and some items that are simply pretty to look at (flowers, candles or your favorite paper weight). 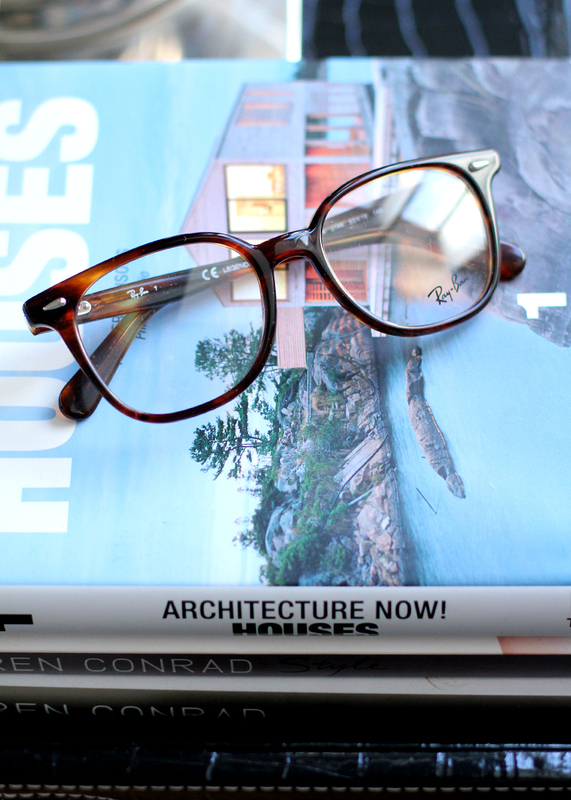 Try to find the right mix of things that make sense to be there, and some that serve a more visual purpose. 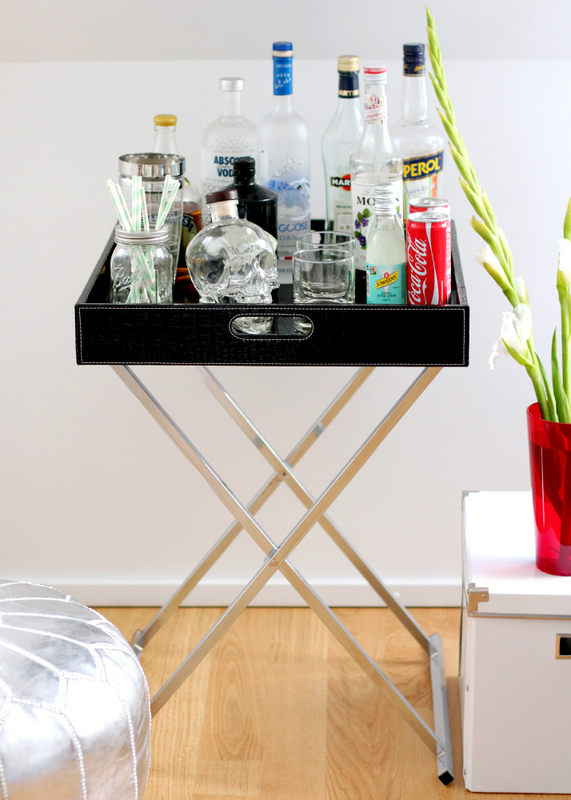 We’re sure that you’re all well aware of the fact that a bar cart is the “the thing to have” at the moment. 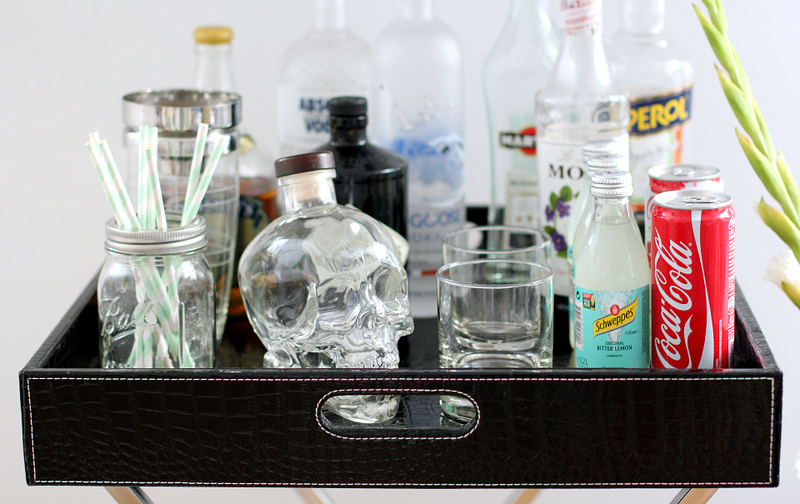 Since we have yet to find the perfect bar cart, we got creative and decided to turn our tray table into a bar tray. 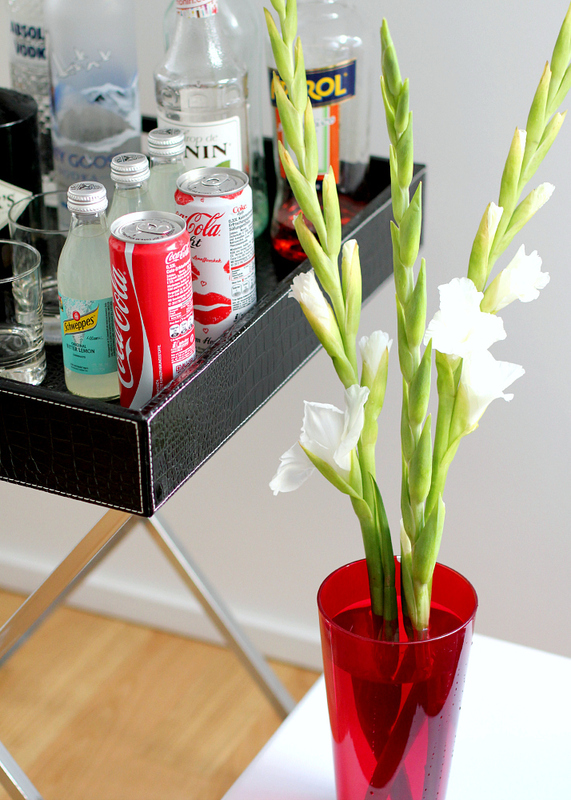 You can decorate it the same way you would decorate a bar cart: a few pretty bottles of alcohol, striped straws (we love them! ), nice glasses to serve your cocktails in and some non-alcoholic drinks to have on hand for mixing. 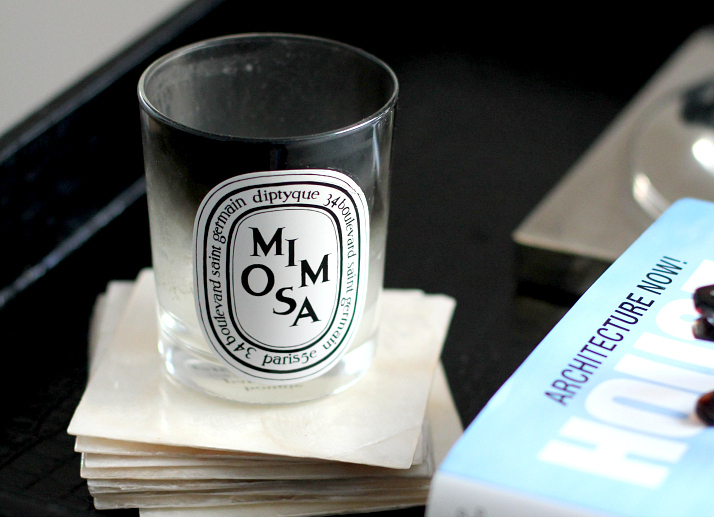 For more inspiration, read about our favorite Etsy finds for bar cart styling HERE. Which of these options is your favorite? Do you own a tray table? How did you style it? We’d love to know – simply tell us in the comments below! 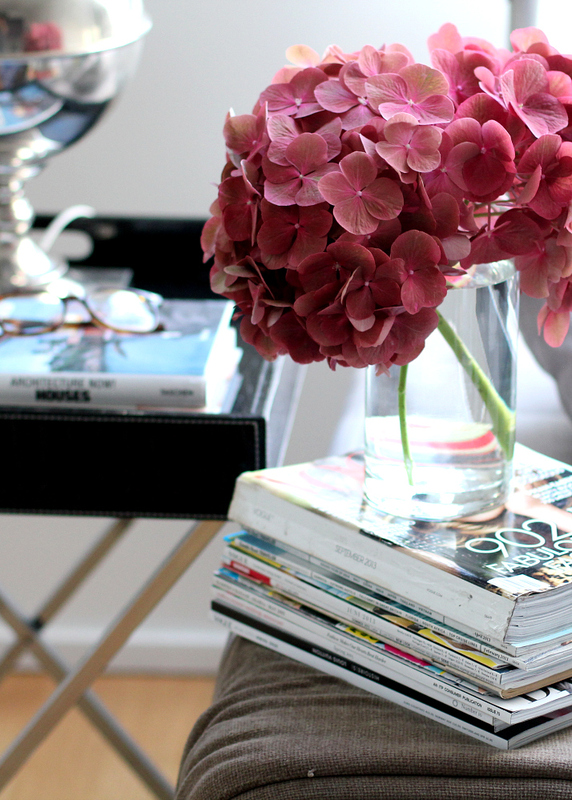 I prefere version 2…I would never arrange Coke and Schwepps on a bar cart or tray table, but I love, love, love this simple clean and chic sofa end table as shown. du meinst den Tray Table? Das ist ja der Gleiche auf allen Fotos :) Den hab ich auf Ebay gefunden – einfach mal “Tabletttisch” eingeben. Ha, aja. Das hab ich natürlich verpasst ;) Danke!! Das Buch bei Bild1 Die Rache trägt Prada – ist das empfehlenswert ;-)?? Danke für euren Tipp & die tollen Beiträge! Kommt dieses Tablett gleich auf dem Gestell, oder habt ihr das selbst montiert? das kommt schon so :) Der deutsche Ausdruck dafür ist Tabletttisch & das kommt alles gemeinsam. Where can i find this tray table??? this tray table was actually an Ebay find … but we know ZaraHome also has something similar, an acrylic tray tables (which we also own & love). Die Bilder deiner Wohnung sind eine tolle Inspiration, bin auch gerade am einrichten..
Wo habt Ihr euer Bett gekauft? Bin noch auf der Suche nach einem Bett in diesem Stil..